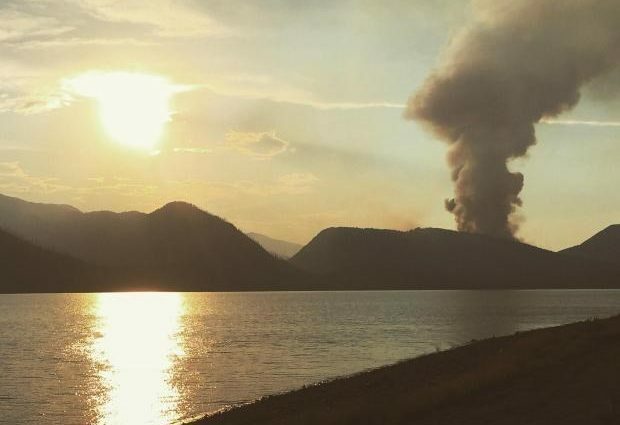 Buckrail- Fire officials just announced that US 191 between the South Gate of Yellowstone National Park and Leeks Marina will remain closed over the weekend due to the Berry Fire. “Highway 89/191/287 will remain temporarily closed between the South Gate of Yellowstone National Park and Leeks Marina to ensure the safety of firefighters and the public. The road is not expected to open this weekend. Fire crews are working diligently to make the highway safe for travel. Right now, even firefighter traffic is limited through the area. Once it is safe to reopen the road, announcements will be made,” stated the release on InciWeb. According to the recent update, yesterday’s weather significantly moderated fire behavior. The minimal growth that did occur was on the west side of Jackson Lake where firefighters continue to closely monitor the fire’s progress as it plays its natural role in a fire-adapted ecosystem. The fire is currently 12,378 acres and 260 people are working on the fire.